HOW YOU CAN GET INVOLVED WITH CHRISTIAN FRIENDS OF NEW AMERICANS: Ever wonder how you can volunteer at CFNA? The following lists various opportunities. Feel free to ask Laura Brink for more details; 314-249-9219, lbrink@cfna-stl.org. 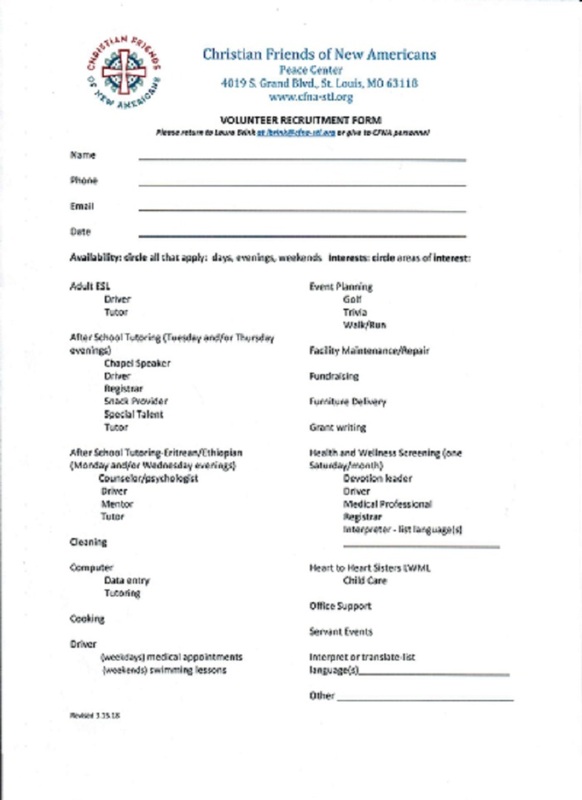 You can also find a more detailed form at Ascension’s website, as well as at www.cfna-stl.org.